At first glance, Twitter may seem like a frivolous medium used primarily for “Mean Tweets,” questionable jokes and whatever it is the Kardashians post. But while Defined Contribution plan participants do not frequent Twitter as much as they do Facebook, LinkedIn, YouTube or Instagram, financial advisors and providers should take it seriously. It is a platform that can help drive traffic to your website or blog, establish you as an authoritative voice, and communicate directly with clients. Twitter, with a reported 310 million users around the world, according to its website, has carved itself a niche as the social media platform most conducive to following events and breaking news in real time. It is also a compelling platform on which to follow and interact with interesting and inspiring people. Are you one of them? Who are DC participants most likely to follow on Twitter? A significant majority (81 percent) follow family or friends, followed by entertainers, news commentators, athletes and political commentators. There appears to be opportunity to fill a void in followship of financial experts. DC plan participants are more likely to follow their coworkers on Twitter than they are a financial and investment commentator or even their own financial advisor. Age and gender are not a factor here, but plan balance is: DC participants with the highest plan balance ($750,000 and up) are most likely to follow their financial advisor on Twitter, the Spectrem study finds. The real-time component of Twitter makes it the preferred social media outlet to obtain market updates. DC Participants also indicate that Twitter is second only to YouTube as the social media network on which they pay attention to financial advertisements. 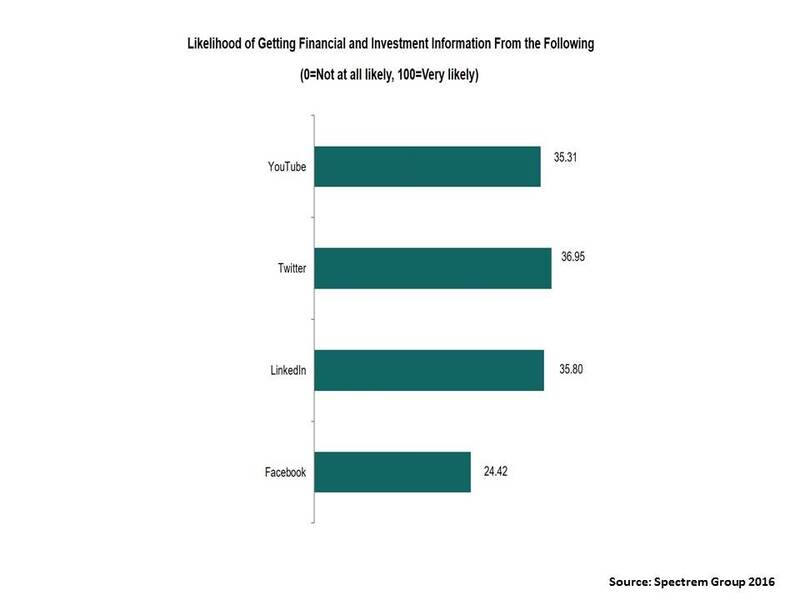 The research also finds Twitter is poised to become a leading source for financial and investment information. Participants were asked to score on a scale of 0-100 (on which 100 equals “very likely”) the likelihood of using one of the major social media networks to obtain this type of information. Twitter scored highest at 36.95, compared to 35.80 for LinkedIn and 35.31 for YouTube. Again, younger investors indicate more interest than their younger counterparts in using Twitter as a future source for financial and investment information. “Defined contribution plan participants are active users of both mobile technology and social media,” the Spectrem report states. “It is important for retirement plan providers and advisors to recognize this and incorporate usage of these tools into their marketing and customer service strategies.” With current usage of both social media and mobile technology highest among participants under 35 years of age, continued rapid growth is assured. · Twitter is an excellent tool for informing plan participants about upcoming deadlines, new plan features, where to find information about retirement investing, and other topics. Accounts can be established in conjunction with plan sponsors to ensure continuity. The plan sponsor could use company channels to inform participants and encourage them to become followers. · Use Twitter to educate participants about investment news and its importance to them. A link to an article about the relevance of an economic event to their retirement assets could prove to be a successful way to develop a relationship with the client.